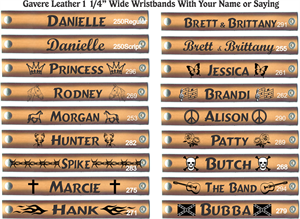 Home > LEATHER BRACELETS > NAMEBANDS WIDE 1 1/4"
Select ... S/M 7 1/2- 8" Lg/XLg 8 1/2- 9"
Wide Wristbands are 1 1/4". 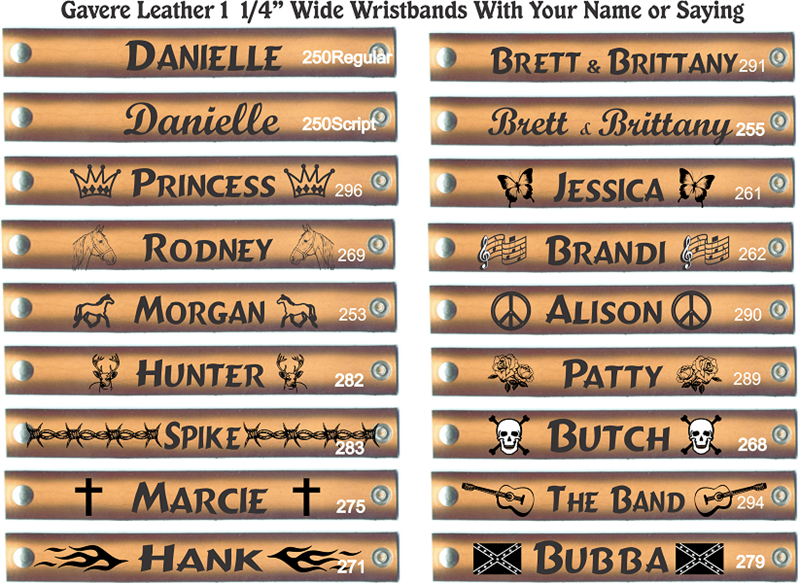 Choose from a variety of designs and put your name, two names or your favorite motto. 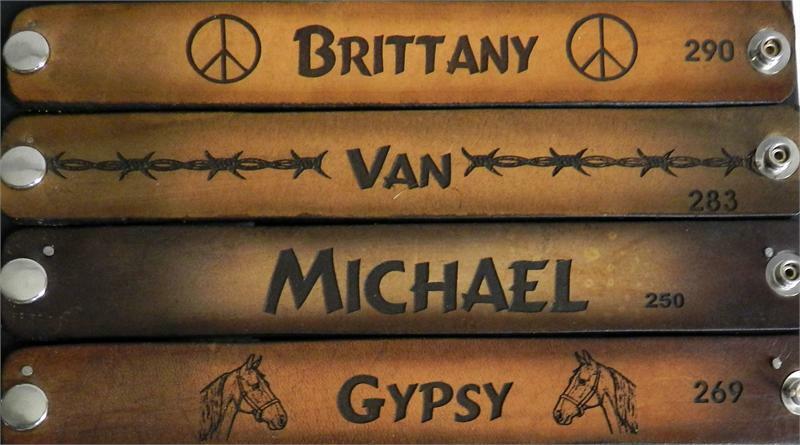 Edges are airbrushed dark brown with a lighter center for engraving. Two sizes available: Sm/Med or Lg/XLg. Each size has two snaps on one end to accomodate two sizes.